BlueFinity International supplies Microsoft-centric tools which allow MultiValue developers to create applications using the very latest technologies while retaining their valuable and often substantial investment in MultiValue software and knowledge. Today, BlueFinity International has extended its reach to enable applications running on any flavor of MultiValue database to be deployed across any of the wide range of today's interface devices â€“ tablets, handhelds, phones and other mobile devices. "From our personal lives to how we do business, there is no doubt that modern technology has changed the way we do just about everything," explains Pete Loveless, CEO of BlueFinity International. "There is a rapidly growing trend, fuelled by the rapid uptake of smartphone and tablet devices, for IT strategy to be driven by end-user expectation. Ultimately, it's all about being able to deliver solutions that address the evolving needs and expectations of users and customers. Using mv.NET, it is possible to take your tried and trusted MultiValue applications to new heights by creating powerful mobile solutions that address these needs quickly and cost effectively." Many BlueFinity customers have already taken MultiValue on the move and are reaping the benefits today. Because BlueFinity provides all of the 'plumbing' and framework to support the application creation process, developers can save valuable time and money as well as reduce the inherent risks of developing their own framework in getting the application implemented and ready to launch. "Using mv.NET's powerful, automatic web service generation capabilities, developers are able to create industry standard web services to populate user interfaces with MultiValue resident data in a fraction of the time normally taken to build this type of infrastructure," explains David Cooper, Lead Developer at BlueFinity. "This, combined with the fact that by using mv.NET you are not tying your solution to a particular MultiValue implementation makes mv.NET an attractive proposition for MultiValue developers needing to deliver modern user interfaces for their existing applications." 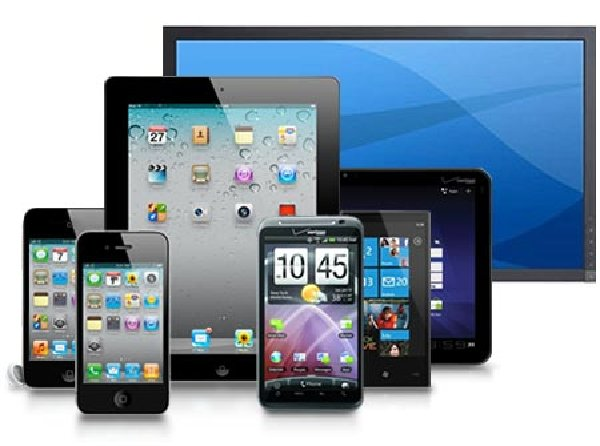 Loveless concludes: "Over the past few years, the significant rise of mobile device usage and the huge advances in mobile technology have brought about a number of opportunities for businesses to connect with consumers and increase sales. BlueFinity's goal is to allow the MultiValue community to be in the forefront of this exciting opportunity. Enhancements to the product are continuing and some exciting announcements will be made as we approach the third quarter of this year. Watch this space!"